Most iPhone and iPad users already have one email account setup on their iOS device, but you can easily add a new email address to the iPhone or iPad, or even multiple new email addresses to the same device, all to be managed in the same Mail app of iOS. This is nice for those of us who juggle multiple email accounts for personal, work, and other purposes. 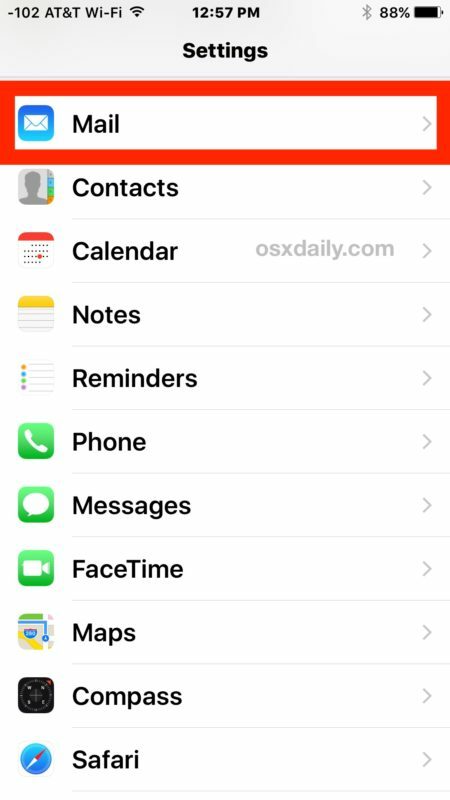 This tutorial will walk through adding and setting up new email accounts or additional email addresses on the iPhone or iPad. After a new email account is setup and configured in iOS, you can check emails, send, receive, reply, forward, and perform any other email functions from all of the addresses on the device. After the email account has been added to iOS, you can then open the Mail app to find the new email account available to access and use as normal. 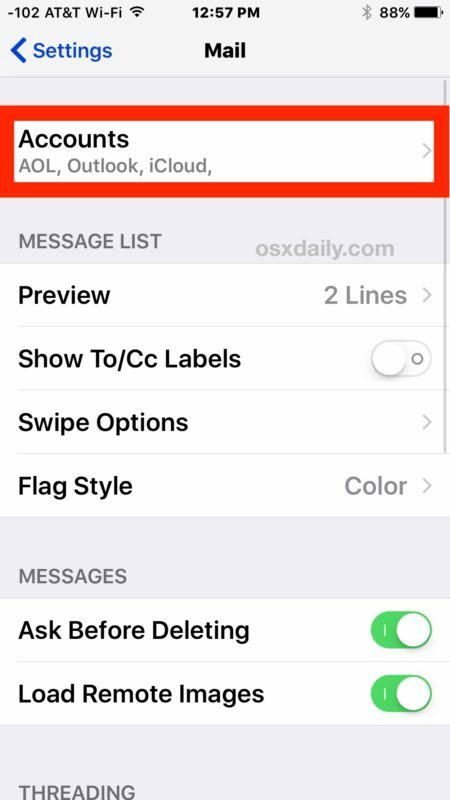 You can check the email account for new messages, send, receive, reply, forward, and do all other email functionality from any email account added to an iPhone or iPad. * Most of the time the appropriate mail servers and settings will be detected automatically, for some smaller email providers and for some ISP email accounts, you can adjust these settings manually using your own information for mail servers, ports, protocols, and other server-side adjustments if necessary. 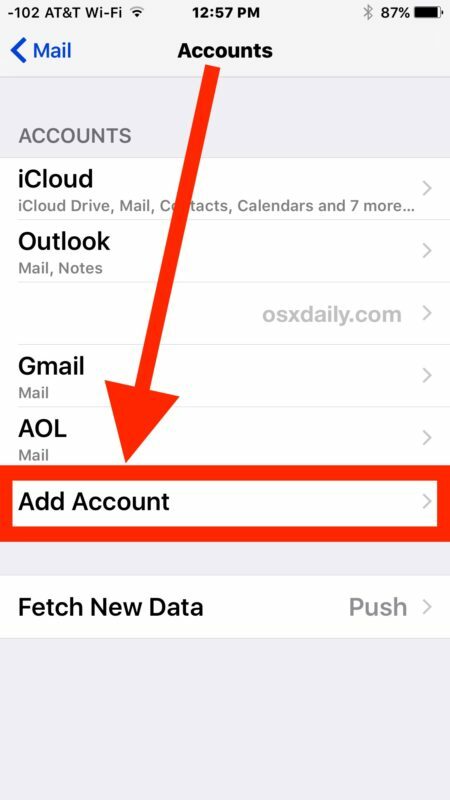 If you’re like me and have multiple email accounts setup in iOS, you will likely want to set the default email address used on the iPhone or iPad to the desired email account. You can change the default email address at any time in the Mail settings, but you can also change what email address any specific message is sent from by adjusting the “From” section when you’re sending off a message or email. 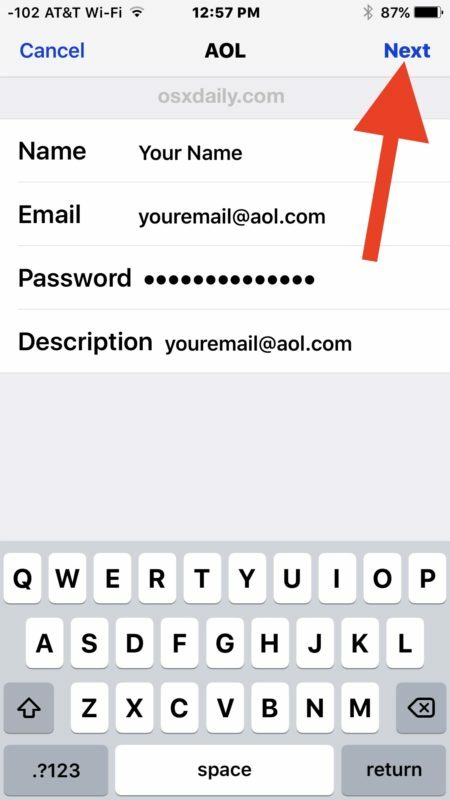 Can I create a new email address for the iPhone or iPad? Yes, you can add an existing email address to the iPhone or iPad, or you can create a brand new email address if you want to do that too. 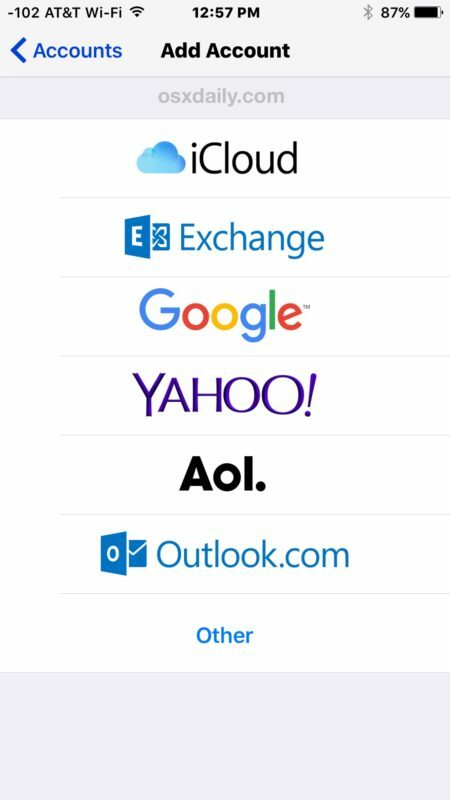 Any of the email services offered in the setup process make this easy: Gmail, Outlook / Hotmail, Yahoo, and if you use iCloud you can create an @ iCloud.com email address directly on the device too. If you setup or add a new account and decided you don’t want it on your iPhone or iPad, don’t worry, because email accounts can be deleted from iOS at anytime. Personally I prefer the universal all mail inbox approach so that all emails to all email accounts are visible on the same screen, but I use this iOS tip to quickly show only unread emails to filter and help manage multiple inboxes and email accounts. This obviously focuses on iPhone and iPad, but for those with desktop computers you can also add new email accounts to the Mac just as easily. 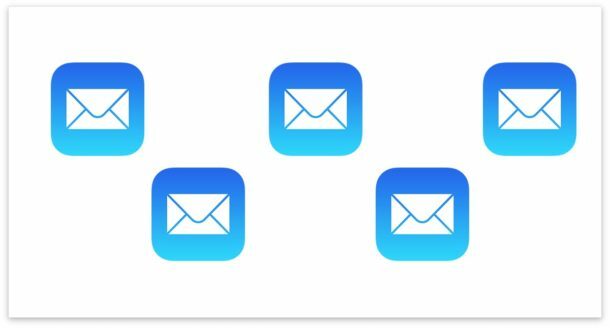 Finally, it’s worth mentioning another strategy for managing multiple email accounts on iPhone and iPad: using different email apps. This is possible with Gmail, Yahoo, and many popular email services as well, which have their own individual email apps available from the App Store as third party downloads. The benefit to that approach is that each email address gets silo’d into it’s own app, which can make it easier for some users to manage. Do you use multiple email accounts on your iPhone or iPad? Have any questions or comments about this? Want to see more mail tips? Let us know! But how do you transfer just your Mail settings from one iDevice to another (such as from your iPhone to your iPad – i.e. not via ‘restore’)?! ?